This combo comes with gong, stand, and a matching mallet. The Moksha Joe Gong Stand is a classic simple design for 14″ gongs. Clear lines of solid workman- or woman-ship make this stand a perfect fit for any room or office. 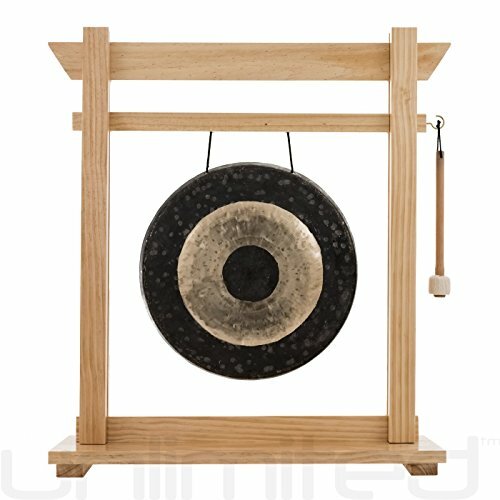 Gongs Unlimited strives to make your gong buying experience great! Contact us with questions. Musicians, Businesses and Sound Healers – We help everyone. We’ve been selling gongs and related instruments since 2005. Work with the experts who care. Each item is checked, cleaned, and wrapped before we ship.